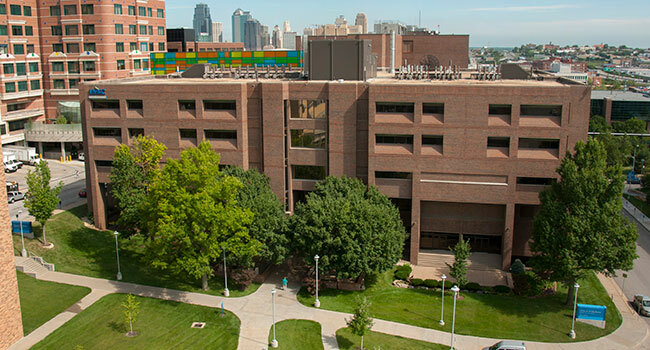 The UMKC School of Medicine understands the importance of visiting campus to determine whether the School of Medicine can offer you the right experience for your medical education. There are various options for visiting and learning more about the M.D. Program. Note: only information about the M.D. program will be shared in this session. For visit options for the combined degree, B.A./M.D. program, access our program visit page. If registration becomes full and you would like to inquire about potential cancellations for these visits or be placed on a waiting list, please contact the School of Medicine Office of Admissions at medicine@umkc.edu or 816-235-1870. Your visit will consist of an information session and student-led tour of the School of Medicine. Students will have the opportunity to learn more about the docent experience, and academic and financial support, as well as life as an M.D. student at UMKC. Visits are conducted in small groups with other prospective applicants. Guests are welcome, but small children are not advised. Please note: The information visit does not provide prospective students an opportunity to review transcripts or discuss future class schedules. A more appropriate source to discuss this information with is an academic advisor at the student’s home institution. We look forward to introducing you to all that UMKC’s School of Medicine has to offer. For more information on these visits or the program, please contact the School of Medicine Office of Admissions at 816-235-1870 or medicine@umkc.edu.